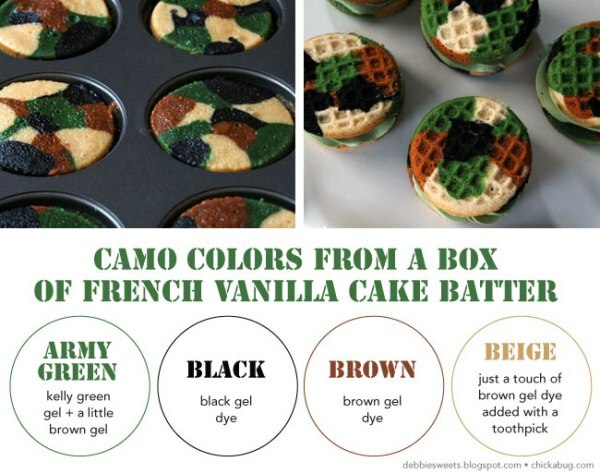 Camo cupcakes are looking very cool and simple. Surprisingly, it’s very easy to make and Debbie from Life Is Sweets created these and share the recipe with us. she provided very specific directions for how to get each one of these colors just right. To make these cookies you have to divide your cake batter into four separate bowls, color each one with the little guide below, and then carefully spoon each color into the whoopie pie pan. Bake the cakes for 8 minutes at 350 degrees. 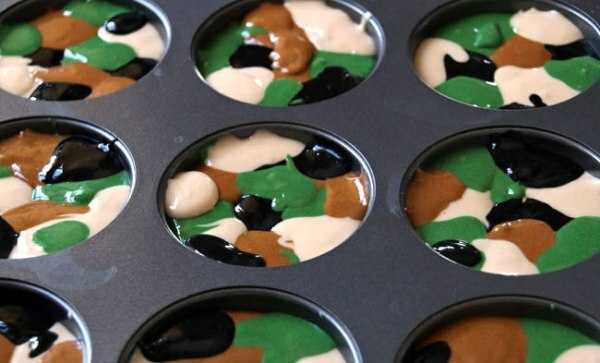 After baking, remove each cake and cool on a wire rack, then sandwich them together with frosting that’s been tinted army green. 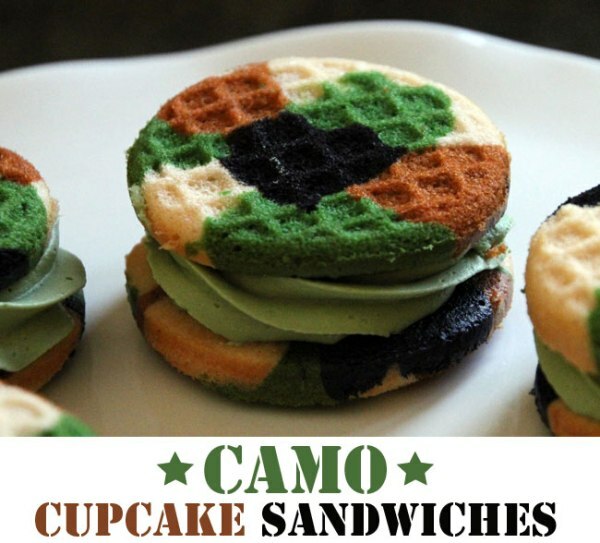 These would be great for a soldier’s welcome home party, for a boy’s birthday party or even just for everyday deliciousness. The pink example you see below is what Debbie made when she went through the same process with different colors. 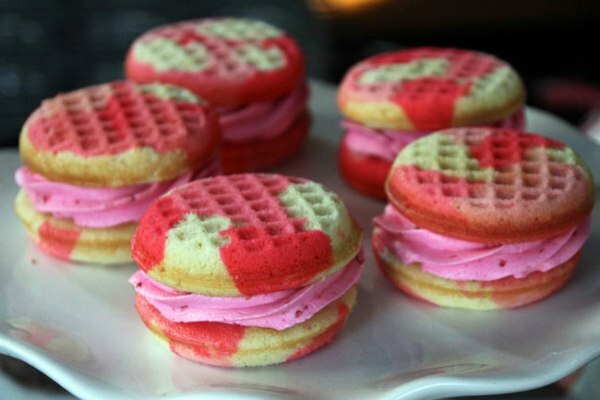 you can bake these in pink, too!